What started of as a very hazy concept about a year ago, now became something very concrete. 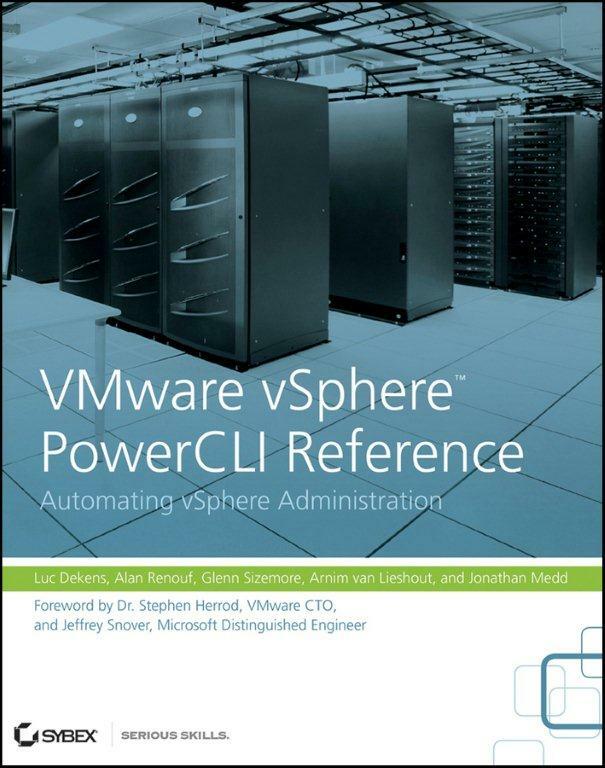 Our PowerCLI book will be released from the Sybex warehouses on March 28th. About a week later you should see it appearing in a store near you ;-). We set up a dedicated website at http://powerclibook.com. For now that site is read-only, but we will open up the forum soon, so you will be able to leave comments and ask questions concerning the book. Small hint, on that site you will also find a number of links to pre-order the book! it is available as Kindle? Just load up the Kindle up and off you go. The books (we ordered 6) finally arrived today!! Thank you again for all your hard work, dedication and attention to detail. Just pre-ordered your book, can’t wait! Thanks Eric. I hope you’ll enjoy reading it. The book contains an Appendix that will give a high-level intro to PowerShell and PowerCLI. Since we knew that not every reader will be at the same level when she/he picks up the book, we set up a website dedicated to the book. The website has a forum where readers can ask questions and it will have blog posts by the authors. One of the subjects we were thinking about was a PowerCLI 101 series, depending on the demand from our readers. Note that the book also has an Appendix with numerous links to other resources where you learn more about the subjects that are discussed in the book. I have already pre-ordered the book. Can’t wait till I can start reading it. will there a PDF version? At this point in time I don’t know yet if there will be a PDF version. The moment we get the info, we will publish it on poweclibook.com. Congratulations! Can’t wait to add it to my collection of VMware must have’s.